Despite his efforts earlier this year, Jared Gordon will not be returning to the featherweight division. 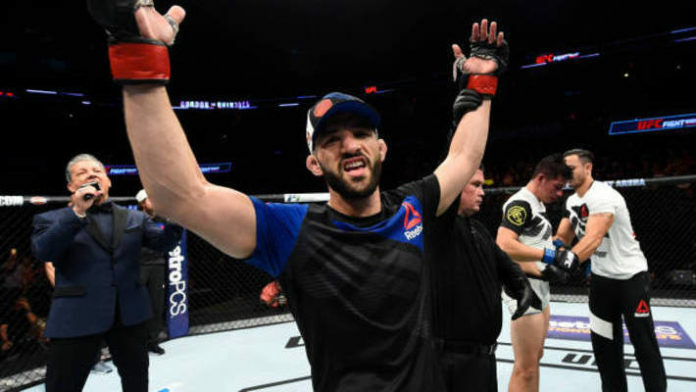 Instead “Flash” will be facing off against Joaquim Silva in a lightweight bout on Dec. 15 at UFC on FOX 31. The decision to stay in the 155-pound class didn’t come easy and it was Gordon’s new coach Duke Roufus that ultimately convinced him otherwise. Gordon (14-2) is coming off his first loss in the octagon against Carlos Diego Ferreira, where he was finished in the first round at UFC Fight Night 126. Prior to that, the New York native was riding a five-fight win streak, including back-to-back victories in the UFC. He faces an opponent in Silva who also had his winning streak snapped in his last bout against Vinc Pichel at UFC Fight Night 109. While Gordon respects his opponent, he doesn’t think The Ultimate Fighter Brazil competitor will bring anything different to the table. Fighting in his newly adopted home of Milwaukee on Dec. 15, Gordon says he’s predicting a finish, which is something he hasn’t experienced in a victory since his UFC debut last year. UFC on FOX 31 takes place Dec. 15 at Wisconsin Entertainment and Sports Center in Milwaukee, WI. The main event features a rematch in the lightweight division as Kevin Lee faces Al Iaquinta.